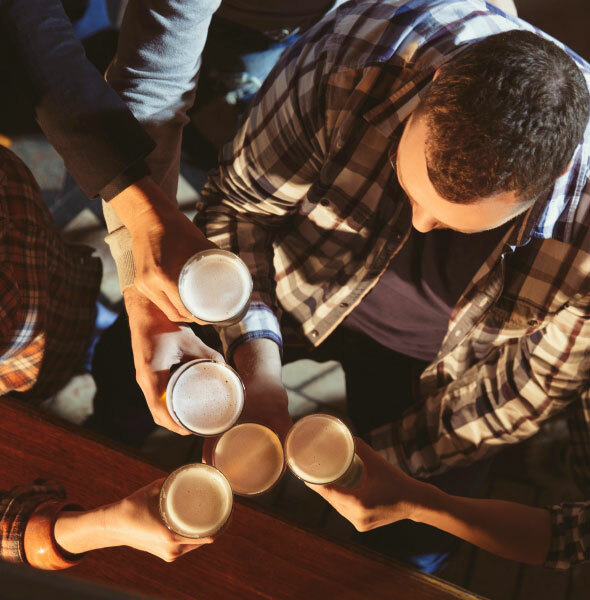 Get together with friends and enjoy a belting two Course dinner and brewery tour! 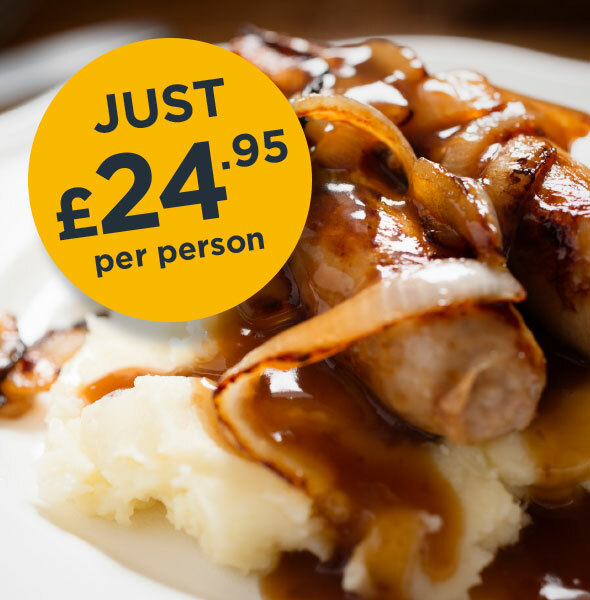 What better way to celebrate than by getting together with friends and family to enjoy an evening full of laughs, cracking snap, and beltingly good ales – all for just £24.95 per person. The evening starts with a personalised tour of the brewery with our master brewer, Matthew. You’ll discover how we lovingly craft our ales, what a wort kettle does and why brewers never say ‘water’. He’ll also be on hand to answer any questions you may have (beer is his speciality but questions on 90s rock bands are also welcome). After the tour, you and your guests will have exclusive use of our stunning tap room where you’ll be able to sit back, relax and sample our ales, while our friendly team serve you a delicious, winter-warming two course dinner. Finally, after the final plate has been cleared away, you and your group move into the main bar at the Peacock (just a few steps away), allowing you to carry on your evening well into the night. We recommend a minimum group size of 6 and a maximum of 12 – any more and people would have to eat off their knee (and no one wants that). To find out more, or to book, call 01142 890611, email us at ayup@collyfobblebrewery.co.uk or use the ‘book now’ button below. Enjoy a personalised tour of the brewery with our master brewer Matthew. 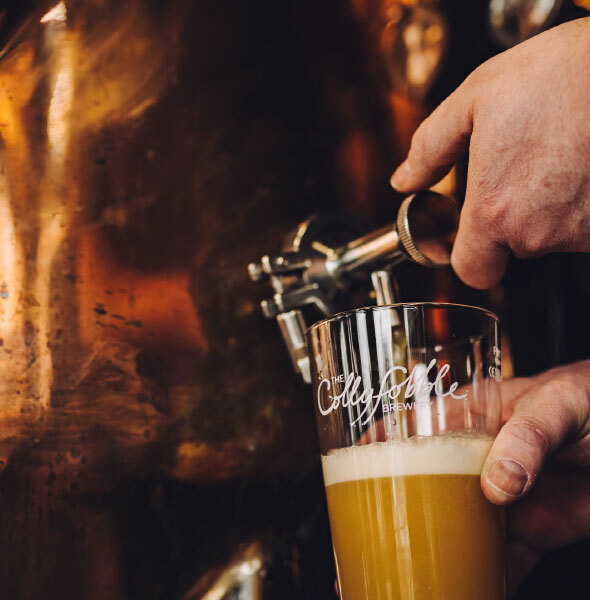 Find out what happens in our big shiny vessels and how we craft our beltingly good ales – all rounded off with a tasting session of Derbyshire’s finest in our beautiful tap room. For all your fashion-conscious friends and family our stylish aprons, polo shirts and t-shirts make the perfect gift – whether they're washin’ pots or struttin’ down Chesterfield’s high street. Mix ’n’ match from our selection of beltingly good ales, exclusive pint glass, t-shirt, polo shirt or apron – all lovingly packed in a handy Collyfobble carry case.